Seek the blessings at one of the highest hills of Parasnath Hill Range. In our 5N/6D Jain Pilgrimage Shikhar JI Tour, we take you on a journey that guarantees utter peace of mind and many many blessings of the Supreme. 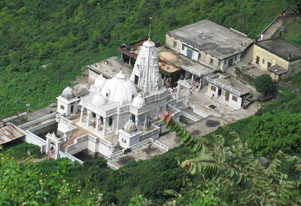 Get atop the Parasnath Hill at Shikharji to witness the mighty Jain Temples showering blessings on the region. Take a plunge in the spiritual bliss by taking the Pahad Yatra. We then will take you the holy site of Rujiwalika, where Tirthankara Mahaveer attained enlightenment. Feel the divinity of this place and then seek the blessings at Rajgruhi, where we shall walk from temple to temple, paying homage at each. Take a holy bath at Lachhwad and perform Puja and rituals before visiting Guniyaji for the darshan of Shree Gautam Swamiji Kevalgynan Bhumi. We will also visit Kundalpur, the birthplace of Shree Gautam Swami and also seize the opportunity to visit the closely situated Nalanda University before concluding this religious tour at Gavmandir of Shree Mahavir Swami at Pavapuri. Arrive at Parasnath Railway Station and then head to Shikharji. On arrival at Shikharji check-in at Dharamshala. Post lunch, we will leave for Taleti and visit Kanch Mandir, Museum, 20 Jinalay, Samvasharan, Digambar Mandir, Jahaj Mandir, Bhaktamar Mandir, New / Old Bhomiyaji Mandir, Dharam Mangal University (on your own) Chouviar Bhaktibhavna. Overnight stay at Dharamshala. Today early in the morning, we shall leave for Pahad yatra (where 20 Jain Tirthankars attained Nirvana). We shall take the Holy Bath then will go for Seva -Puja, Darshan at Mountain (Navkarsi near Jal Mandir) and later return to Dharamshala. Overnight stay at Dharamshala. After performing Navkarsi, we shall leave for Rujuwalika by Bus. 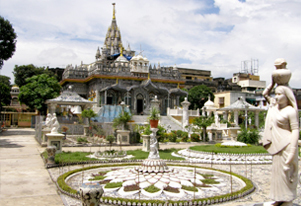 At Rujuwalika is the Shree Mahavir Swami Temple (Where Mahavir attained Enlightenment). We shall go for Darshan followed by lunch here. Later, we shall visit Rajgruhi by bus. Overnight stay at Rajgruhi. 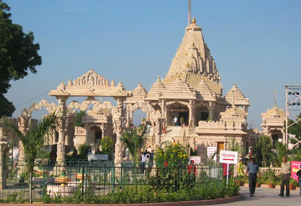 Post Navkarsi, we will visit Shree Mahavir Swami Golden Temple and Navlakha Temple. After Seva, Pooja and Darshan, we will proceed for Pahad Yatra (Shree Munisuvarath Swamijis four Kalyanaks) Ropeway, Virayatan (Bhramin Kala Mandir), Japanese Temple, Virayatan and darshan of different places. Overnight stay at Rajgruhi. Early morning, we will head out to Lachhwad by road. On arrival at Lachhwad, we shall visit Shree Mahavir Swami Temple. After Navkarsi, we will proceed to Shatriyakund pahad, which is the birth place of Shree Mahavir Swamiji. Here we will take the holy bath and then perform rituals and seva. After performing Pooja and darshan at mountain Taletima Chhavan, diksha kalyank darshan we will return for lunch. Later, we will head to proceed for Gunniyaji by bus. On arrival, we will visit Shree Gautam Swamiji Kevalgynan Bhumi. After the darshan, we shall proceed for Rajgruhi by road. Overnight stay Rajgruhi. After Navkarsi, we will leave for Kundalpur by road. On arrival at Kundalpur, we shall visit Shree Gautam Swami’s birth place. Later, we will visit the world famous Nalanda University and then proceed for Pavapuri. On arrival at Pavapuri, we will visit Gavmandir of Shree Mahavir Swami. After Chaouviar, we will proceed to Rajendra Nagara for your drop to railway station to board train for onward destination.